Are you over quenching your plant in order to attain a faster growth? Then you need to stop! It is a sign of an amatuer grower if you are doing this. Many just add a little more water to push the plant to its maximum potential but instead they just end up setting the growth back for a few weeks. To assure that this does not happen to your next plant, we have decided to write this blog on how to examine an overwatered plant and treat it so you have an immaculate plant. It can be fairly difficult to understand and revive a Cannabis Plant going through issues. But fortunately, it is easy to spot an overwatered Cannabis Plant. The signs are quite simple. The very first sign can be the appearance of the plant. Most of the leaves and stems of the plant entirely start drooping, right from the stem to the leaves. One must check the stems and leaves minutes and hours after watering as the drooping is most likely to happen after watering. We also noted that in a few instances, over watering causes the leaves to turn yellow in colour. This is known as Chlorosis. 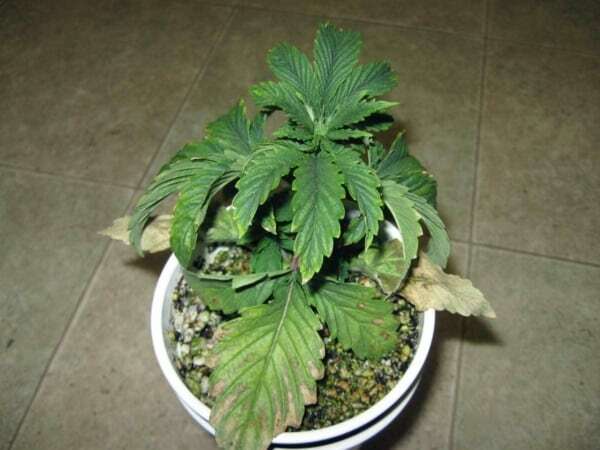 This does not mean that there is a nutrient deficiency, but simply just more water in your plant. All this happens, but why? The reason behind drooping is quite simple. When you add too much of water, it gathers around the roots in the mud, unabling the plant to take in ample amount of oxygen. Due to this, the plant starts becoming weak, resulting to drooping and death. After spotting the above signs, the grower needs to delve into the reasons behind it. Mainly there are two reasons to overwatering. When the grower is frequently watering the plants or/and watering in large volume. When you have a poor drainage system to let the excess water out. If the drooping is due to the first reason, then you should just allow more time to the plant so it can absorb the excess water by reducing the watering time. 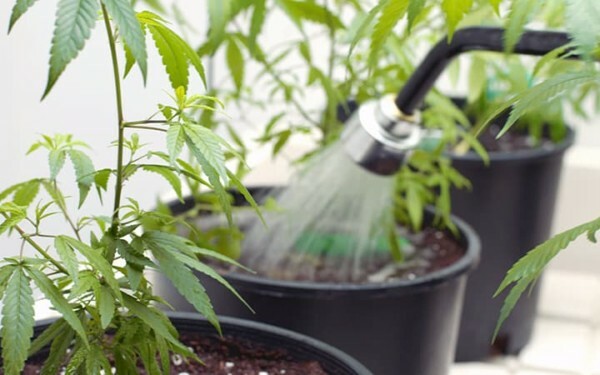 Experienced growers generally check the weight of the plant to know whether the plant needs more water. If the drooping is caused due to the second reason, then you just need to alter the way you have set up the plant. One must allow enough space for the plant to drain out the unwanted water which will allow the plant enough room to breathe. How to Differentiate Between Under-Watered Plant and Over-Watered Plant? Under and Over watered plants, both, show the same symptoms and there are no clear-cut way to tell between them unless you use common sense! Anyone should be able to tell while going through the watering habits.